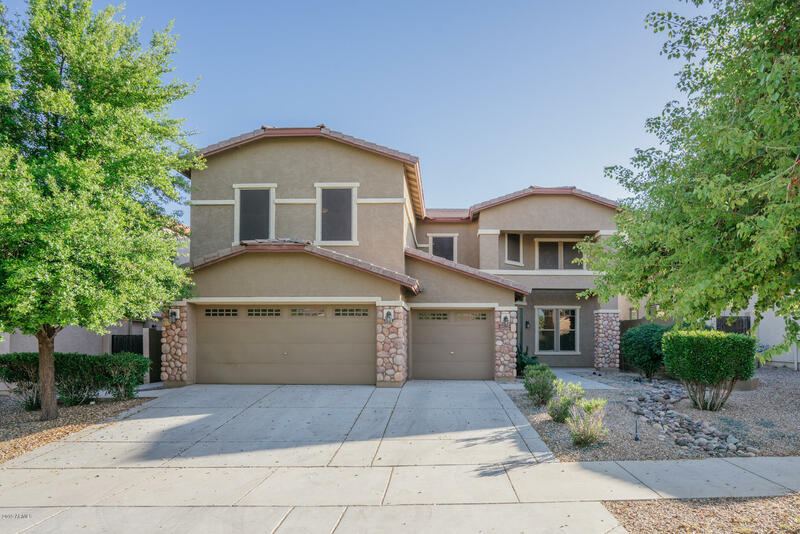 All GREER RANCH SOUTH PARCEL homes currently listed for sale in Surprise as of 04/23/2019 are shown below. You can change the search criteria at any time by pressing the 'Change Search' button below. 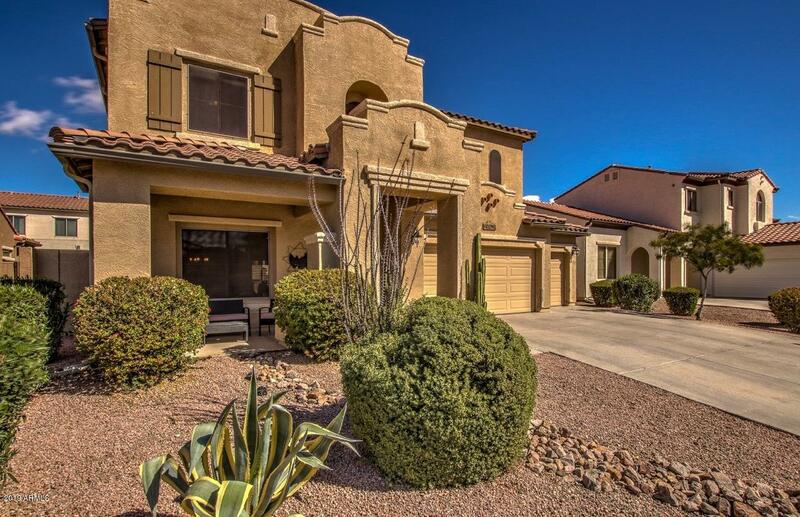 "This lovely 4 bed, 3 bath home in the beautiful city of Surprise is waiting for you. On the first floor, you will find two large living areas, formal dining room, and kitchen. The kitchen has a large island, granite countertops, and plenty of counter space to prepare your delicious meals. Upstairs you'll love the loft, that is easy to turn into a fun play space or office. Your master suite is spacious and offers a walk-in closet and great views. The relaxing master bath has a separate shower & "
"HUGE PRICE REDUCTION! 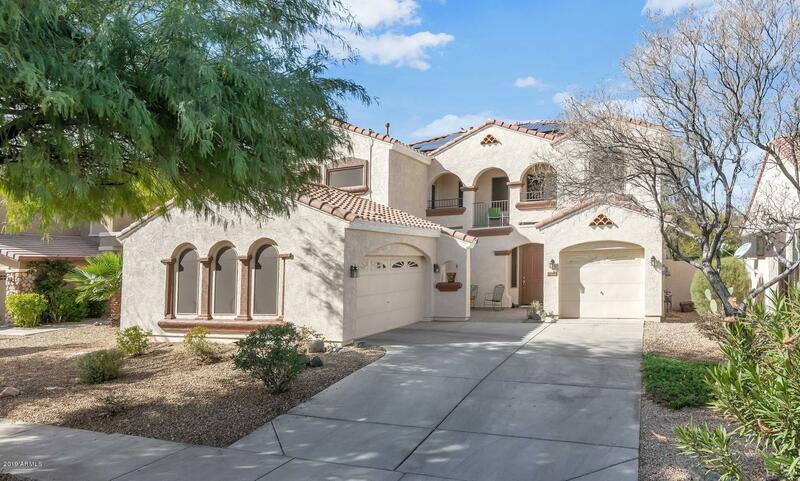 Gorgeous, well-maintained home! 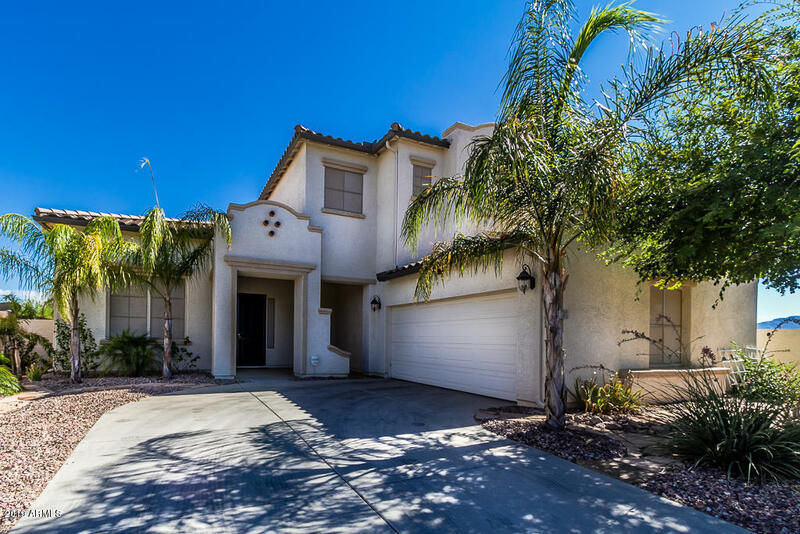 Located in the highly sought after Greer Ranch neighborhood. Great views of the White Tank Mountains. Tile in all the right places! Beautiful kitchen features a huge island with breakfast bar, stainless steel appliances, 42'' upper kitchen cabinets, slide out shelves on bottom kitchen cabinets. Large bedrooms. Pre-wired for surround sound , including back patio. Resort style backyard with BBQ island and Pebble tech pool. Over sized lot. Full "
"Stunning Tuscan style home in Greer Ranch! 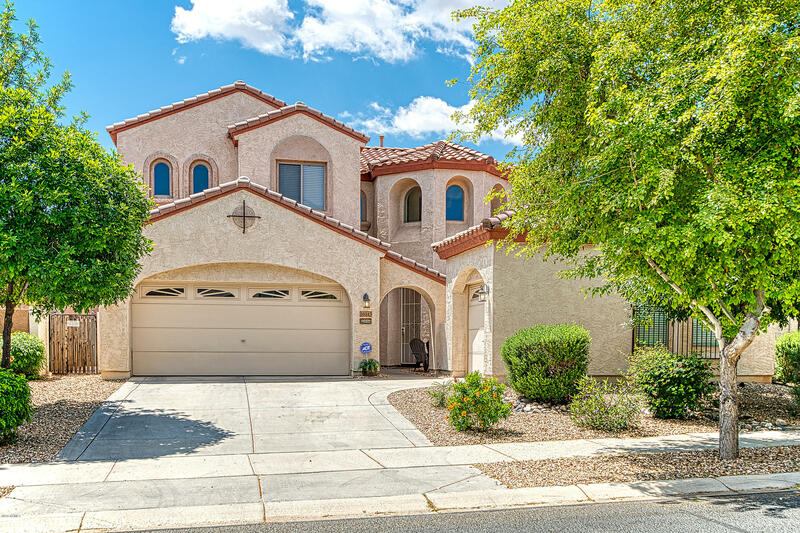 This highly upgraded home w/ pool and courtyard boasts 4-bedrooms and 3-baths with a bedroom downstairs. 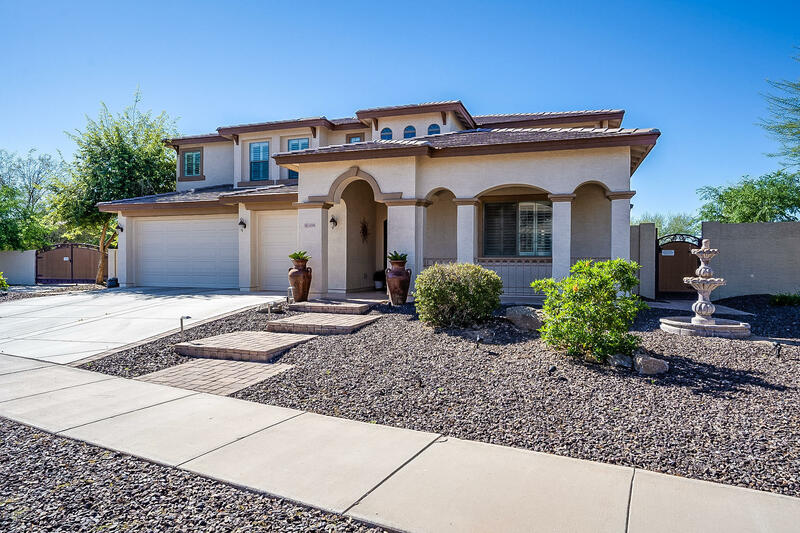 Stunning rotunda entry w/ vaulted ceilings looks over the oversized family room and spacious, elegant formal dining w/ tray ceiling. The chef's eat-in kitchen w/ stainless appliances will make you the envy of your peers--including upgraded 42'' cabinets, gorgeous slab granite counters, breakfast counter, gas range, French door fridge, and walk-in pan"
"Imagine walking into this spacious and updated home and enjoying it's open concept design. Show off your culinary abilities in this chef's kitchen with Samsung black chrome appliances. Experience the home's energy efficiency with the Nest thermostat and owned solar system. Enjoy walking barefoot across the new floors throughout." "Built in 2005, this Surprise two-story offers an office, stainless steel appliances, and a three-car garage. Upgraded features include fresh interior paint and new carpet in select rooms.Home comes with a 30-day buyback guarantee. Terms and conditions apply." "Are you looking for a LOVELY HOME with a BEAUTIFUL BACK YARD with VIEWS and a FANTASIC SOLAR PLAN of OVER 10 KW in the DESIRABLE GREER RANCH neighborhood? *This home meets all of that and more*You will have FOUR BEDROOMS, FANTASTIC KITCHEN with GRANITE counters, RAISED PANEL CABINETS, ample storage and space, newer GAS STOVE, and exit to the FRONT COURTYARD*Your OWNER'S SUITE has a SEPARATE BALCONY, oversized and enclosed SITTING ROOM and separate shower/tub and dual sinks at the bath*Your BACK Y"
"ABSOLUTELY GORGEOUS HOME IN GREER RANCH! 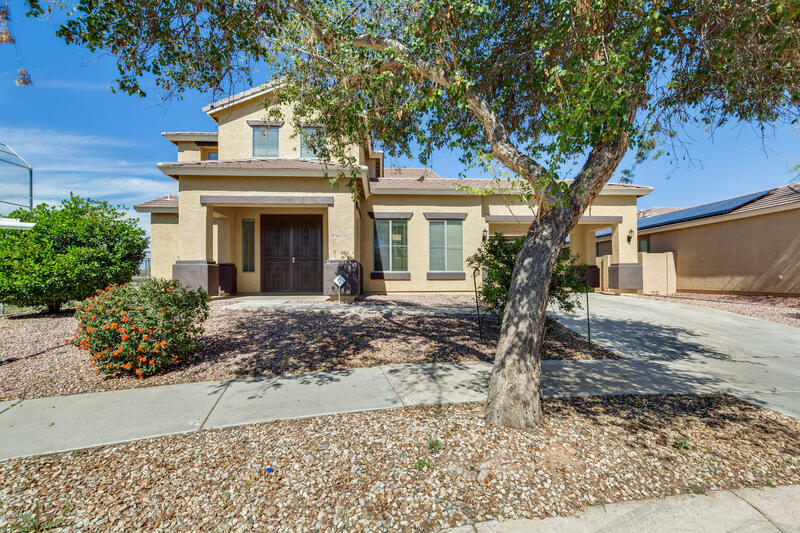 PRIVATE LOT WITH GREAT VIEWS OF THE WHITE TANK MOUNTAINS. 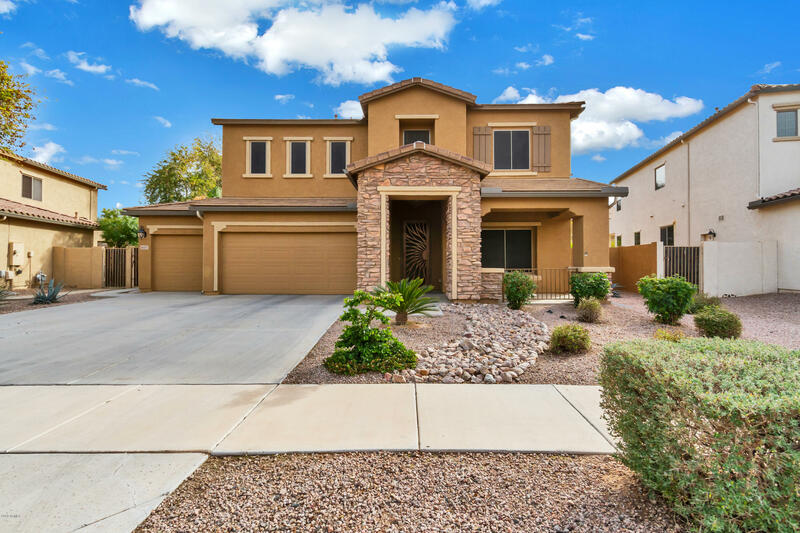 BEAUTIFUL KITCHEN WITH GRANITE COUNTERS, UPGRADED CABINETS WITH PULL OUT DRAWERS, STAINLESS STEEL APPLIANCES, GREAT HOME FOR A GROWING FAMILY AND ENTERTAINING! 3 GENEROUS SIZED BEDROOMS UPSTAIRS, 1 DOWNSTAIRS OR OFFICE/DEN. 3 FULL BATHS! CUSTOM PAINTED IN LOVELY NEUTRAL TONES AND AN ABSOLUTELY GORGEOUS RESORT STYLE BACK YARD WITH CUSTOM BUILT PATIO PERGOLA, SHED, DESIGNER LANDSCAPING, SYNTHETIC L"